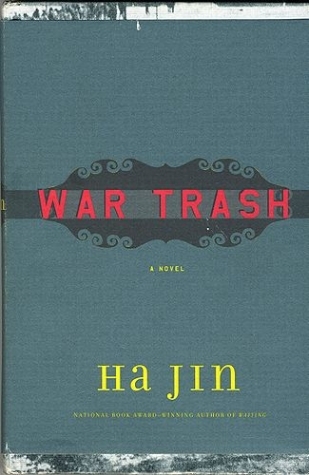 War Trash is just a novel, albeit a very good one. In it, Yu Yuan—who, as an old man, is writing a memoir of his captivity—vividly describes the horror and absurdity of war. The setting is Korea, but the high casualties will remind you of World War II; the napalm and the politics of Vietnam; and a particularly gruesome beheading scene of the current conflict in Iraq. If you don’t know much about the Korean War, fine. But what matters most is this: War is war is war is war. Cut off from the main Chinese army and surrounded, Yu and a handful of comrades slowly starve. Foraging for food proves to be dangerous work. “On average every twenty pounds of rice cost one man, so we mainly ate herbs, grass, and mushrooms, waiting for the fall when the wild chestnuts would ripen,” Yu recalls with characteristic reserve. Eventually, he is captured and shipped to a POW camp in Pusan. There, the Chinese prisoners organize themselves within their compounds according to Nationalist and Communist sympathies. With American assistance, the Nationalists take control and ruthlessly set about strong-arming their fellow prisoners into refusing repatriation to the mainland. Those who balk, like Yu, are tattooed with anti-Communist or pro-Taiwanese slogans. Others are not so lucky. Yu has no love for Mao. He only wants to return home to his aging mother and his lovely fiancée. But neither is he completely welcome among the Communists because of his Nationalist ties back home. Yu’s disillusionment with the ideologues on both sides forms the knotty and sorrowful center of the novel. They use him for his knowledge of English—which conveniently provides him access to much of what goes on in the camp—only to betray him later. Although the novel doesn’t hide where Yu will eventually end up, readers will wonder how he’ll ever get there. A critic once remarked on the “radical naiveté” of Jin’s fiction. A native of China, Jin has lived in the United States since 1985 and now teaches English at Boston University. In his novels, like the National Book Award–winning Waiting, or 2002’sThe Crazed, the prose style and characters are simple and unadorned, especially when compared to the complex sweep of history. Never is that more true than in War Trash. Yu’s wide-eyed amazement can be almost laughable. When the camp’s Communist boss orders a symbolic protest that costs the lives of dozens of inmates, only to reward them afterward with “medals,” Yu is skeptical. Really, Yu? Do you think so? It is a testament to Jin’s skill as a writer that old news can seem fresh again. The Israeli writer and Holocaust survivor Aharon Appelfeld once wrote that “without the naiveté still found among the children and old people and, to some extent, in ourselves, the work of art would be flawed.” In Appelfeld’s novels, which are generally set prior to the Holocaust, the Jews are educated and world-weary, yet completely oblivious of their impending doom. In War Trash, the full weight of history has arrived, and it methodically feeds itself on the lives and spirits of Yu and his Chinese countrymen. That we already know how it must end is beside the point: War is war is war is war.